This is the Duratrax 19-in-1 Tool Set for RC. Popular size tools required for routine maintenance on many RC vehicles. 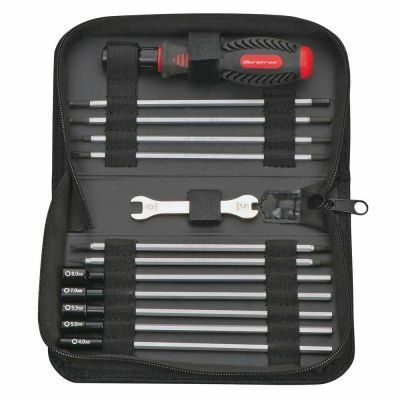 Nut drivers, hex drivers, screwdrivers and turnbuckle wrench in multiple sizes. Ergonomic ratchet handle with Adjustable bit length. Black nylon zippered carrying case with Duratrax logo.